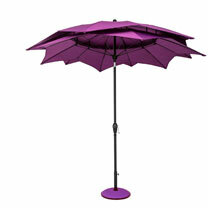 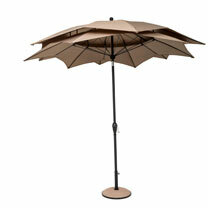 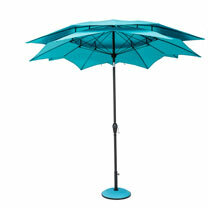 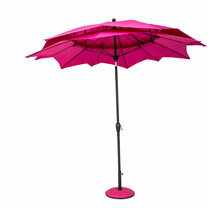 Our super stylish parasols have weatherproof polyester canopies that span 2.7m (9') & come in a choice of 5 colours. 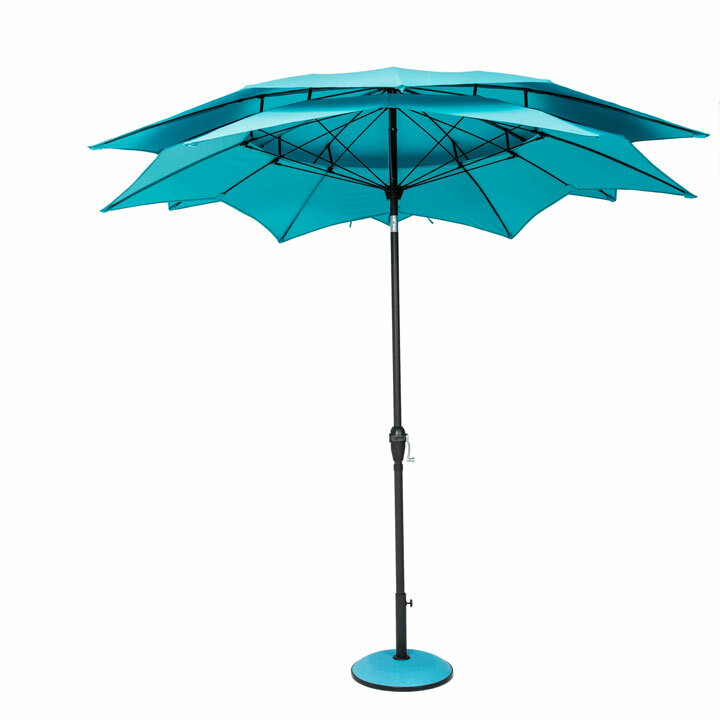 The parasol poles are made from aluminium with an anthracite coating but the canopy frames are made from fibreglass, giving them more flexibility & making them less likely to break or bend. The parasols can be easily opened or closed using the crank handle & have a push button tilt mechanism to angle the canopy into the sun. 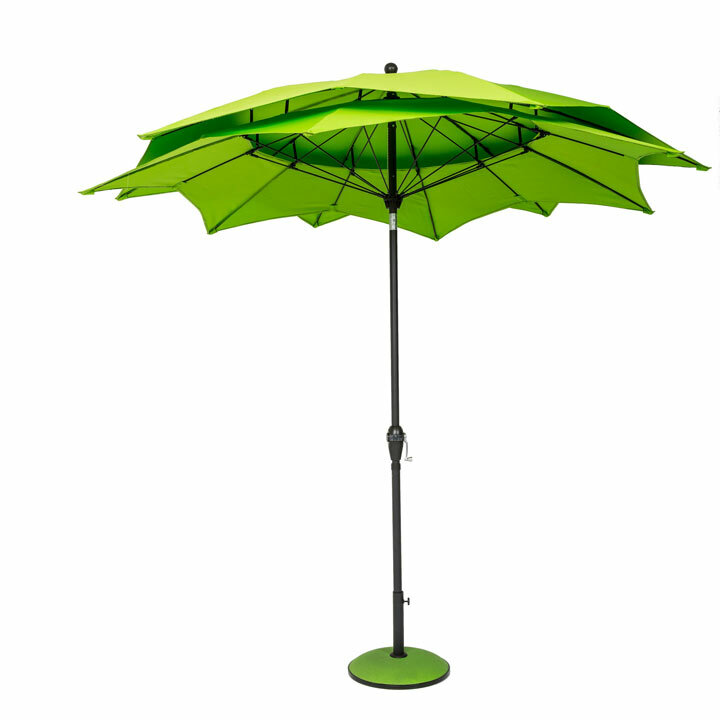 PLEASE NOTE: Base is not included. 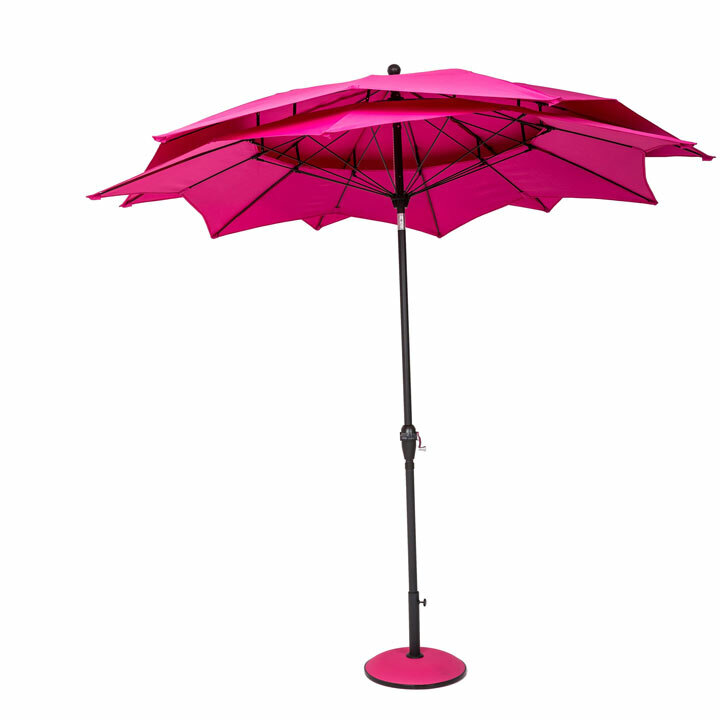 Lotus - Reminiscent of a flower in bloom, these unusual parasols are quite unlike any we have seen before! 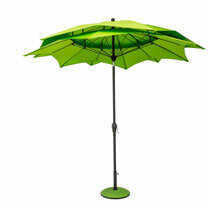 Colours available: Lime, Fuchsia, Aqua, Purple, Taupe.